Drinking some bubbles on my 45th birthday! 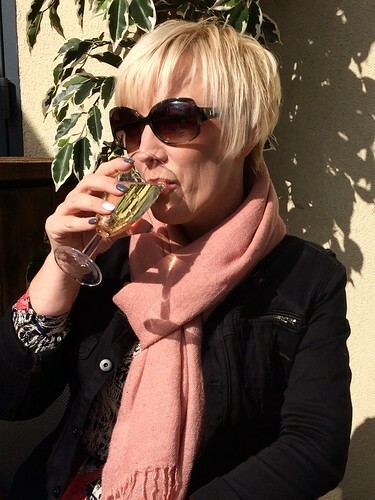 Last week I celebrated my 45th birthday… and I deliberately say ‘celebrate’… because turning 45 is as much fun to celebrate than turning 25 in my opinion! I really agree with above quote… if you’re energetic you’ll automatically feel younger, more vibrant and more positive. Last year when I was having my burn-out I felt old at times. That’s because all energy was sucked out of me. I really needed to do things that gave me the drive to keep going. Seek things I loved doing so that I could strengthen my mind and body one step at a time. So you have to keep on working to keep that positive energy flowing… keep searching for things that you like doing and that give you power and strength to keep going. Incorporate them in your life as much as you can… You’ll soon find out that you’re only as old as you feel and age…? That’s just a number! This entry was posted in Personal, Quotes 'n thoughts and tagged quote, quotes. Congrats on the birthday 🙂 I agree age is only a number I love the age I am and look forward to the years to come!